Decades ago, on our honeymoon, hubby and I camped, hiked and enjoyed nature in Jasper, Banff and Waterton National Parks in Alberta, Canada. I confess, not knowing any better, we fed some of the animals while we were there. In Waterton, a Big-horned Rocky Mountain Sheep ate tidbits from my hand and a young moose did too. In-between my feeding some slightly shy chipmunks, some bold little birds swooped in for the crumbs. I don’t know why I’ve always been so fond of chipmunks, but it was a joyful event feeding some back then. 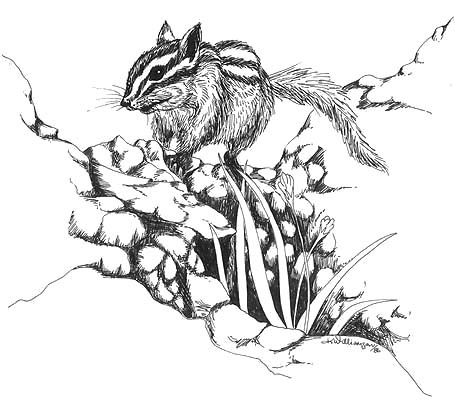 I will always think of chipmunks as my little wild friends.